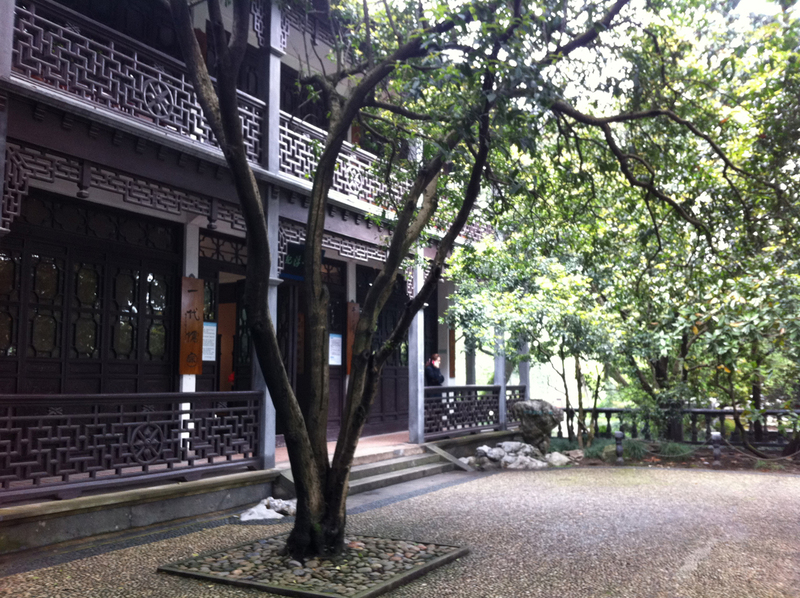 Whilst Shanghai itself is not that old, it is surrounded by lots of “smaller” towns with a long history. The most famous ones are Sūzhōu and Hángzhōu (pronounced su-joe and hang-joe), which are respectively 30 minutes and an hour’s fast train ride from Shanghai. When my parents were here, a while ago now (I have been a bit lazy), they felt like escaping from the city environment for something quieter and relaxing. 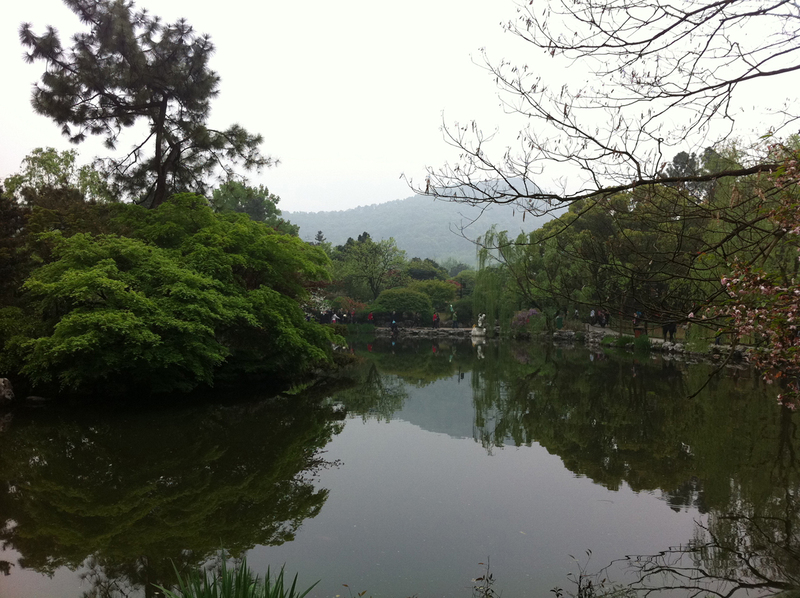 So we headed to Hangzhou, which I was told is very pretty, prettier than Suzhou despite its UNESCO Wold Heritage status. 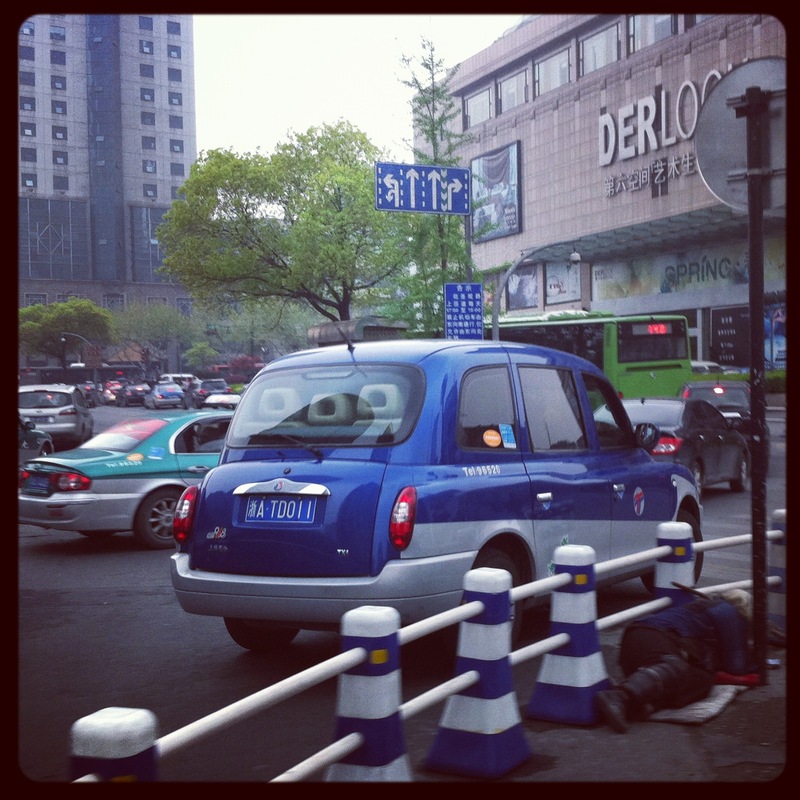 Totally random: a black cab in Hangzhou! As for the other posts on my recent visits, here’s my practical piece of advice. 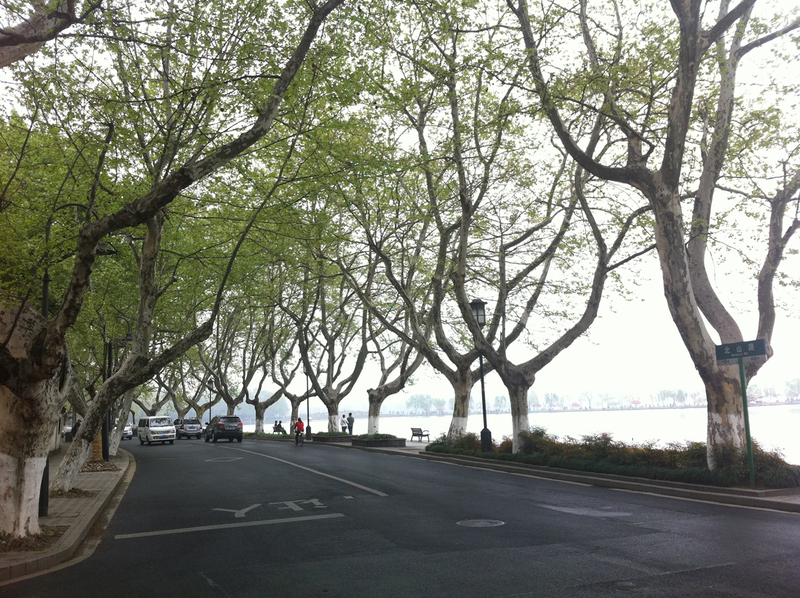 Although it can be pricy, I’d advise anyone with limited time in Hangzhou to hire a guide if you don’t want to walk a lot. Once you’re around the historic places, it will be very difficult for you to find a cab to get back to the station or anywhere else in town. 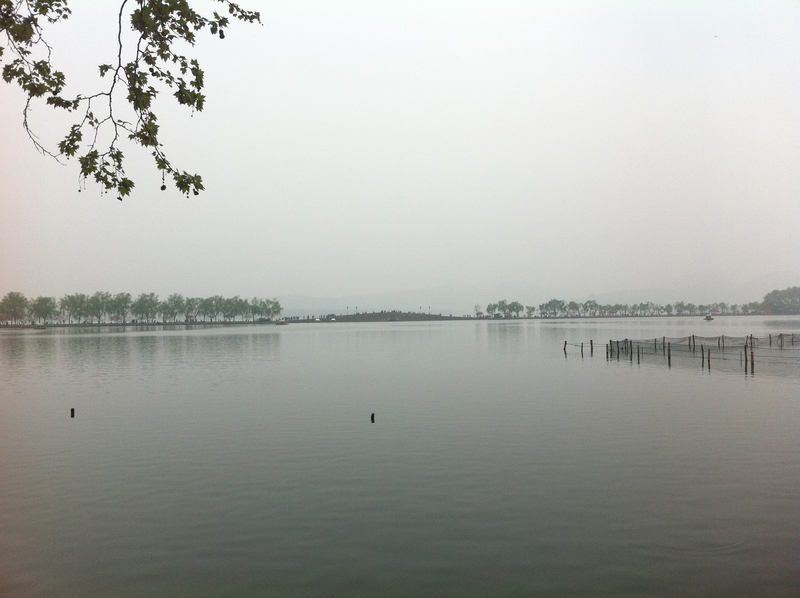 In Hangzhou, most places to see are around the large lake, which is located to the west of town. As everywhere in eastern China, you have to expect company anywhere you are, even if you think it’s a cunning plan to visit Hangzhou on a Friday. For a long time, it was difficult for Chinese people to move inside their own country, because infrastructure were not as developed, people couldn’t afford it but also because it was forbidden or highly regulated. In fact, you still need to give your passport number to be able to buy a train ticket to go anywhere. So they’re now making the best of it and are therefore the first tourists in their country. 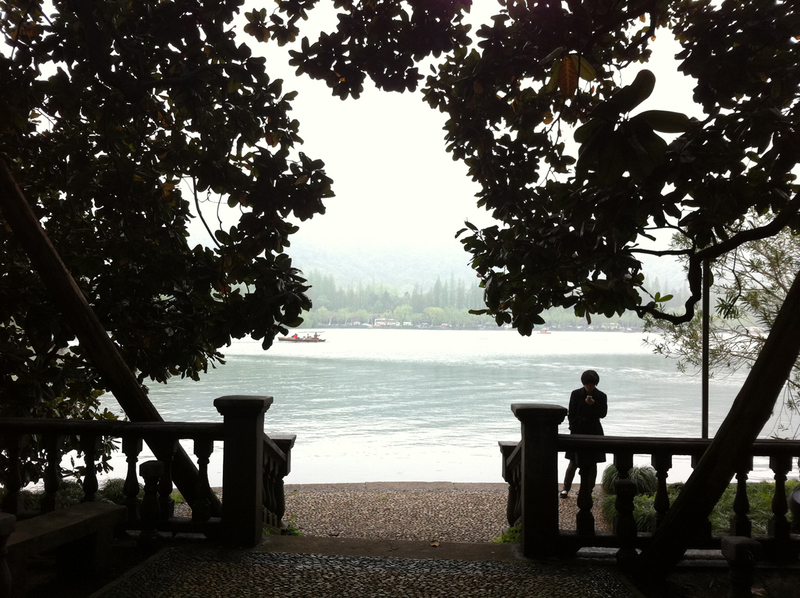 Anyhow, despite the crowds, traffic around the lake and the mist, Hangzhou was beautiful and very relaxing. It’s very green and there are some mountains in the horizon which remind you that nature survives outside Shanghai. 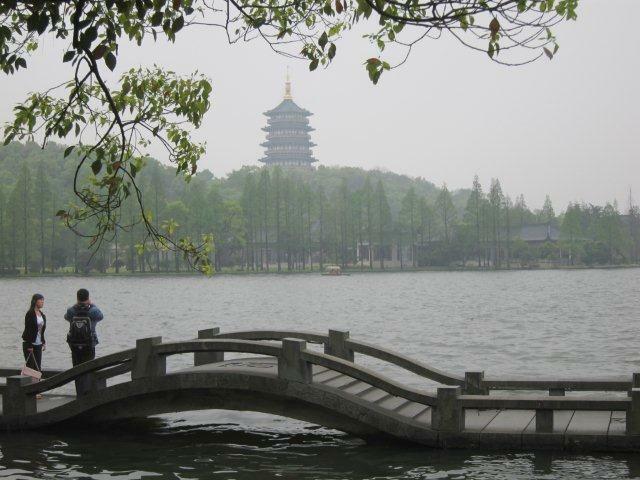 Around the lake are pagodas and houses of historic and learned figures. I’m sadly unable to give much details. 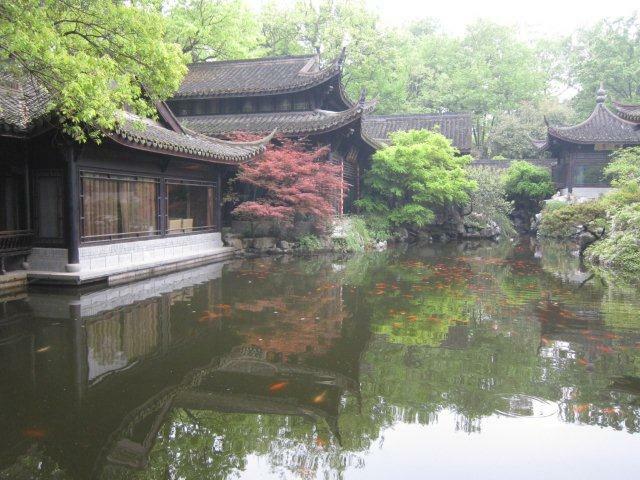 I just know that Hangzhou was the capital of the Wuyue Kingdom during the 10th century. During this short time, the arts flourished and so did Buddhism, leaving us with the pagodas. 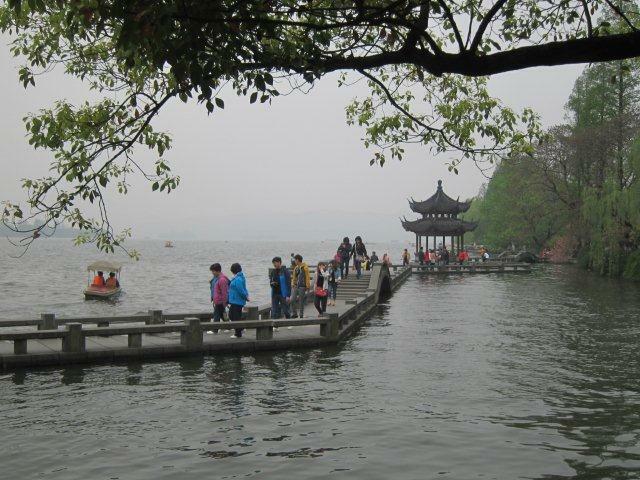 Hangzhou is also known for having an Arab community, which settled in the 12th and 13th centuries when the city was an important sea trading post. Ibn Battuta visited the city in 1345 and praised its beautiful lake. Nice and interesting your site.